Mid-Autumn Festival is one of the most important festivals in China. It’s a traditional Chinese holiday for family getting together. It falls on the 15th day of the eighth Chinese lunar month every year. At that time,the moon is the fullest and brightest of a whole year. Family members gather together, eating moon cakes and appreciating the full moon to celebrate the festival. 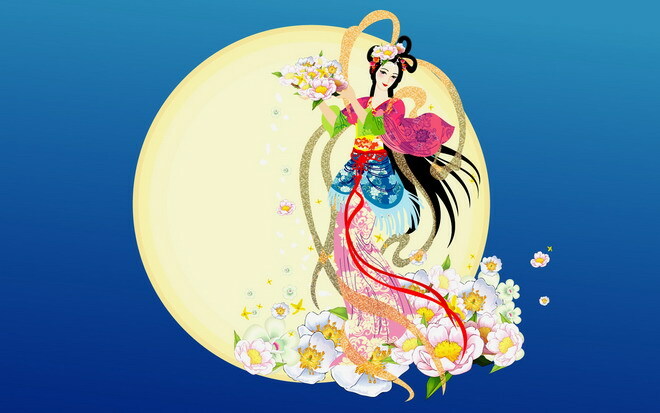 The legend of the Mid-Autumn Festival is about the story that a lady called chang e flying to the moon. Once up on a time, there were 10 suns in the sky. They almost burned everything on earth. A hero named Hou Yi pulled his supernatural bow and shot 9 needless suns down.After then,he earned an elixir from the god as a gift. He gave the elixir to his beautiful wife chang e to keep it safe. But chang e ate the elixir by accident and flied to the moon. Hou Yi was so sad that he made many mooncakes which is chang e’s favourite to memory her. 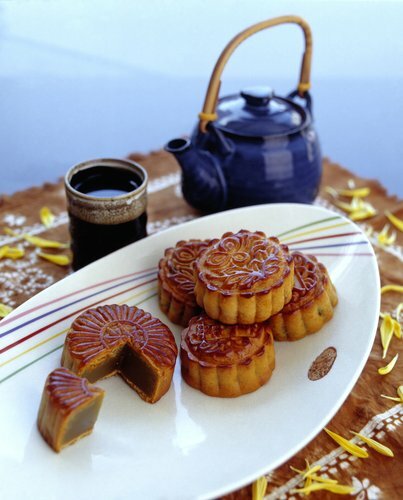 On Mid-Autumn Festival, people eat mooncakes for celebration. The moon cake is a kind of cookie with various fillings such as nuts, sugar, sesame, ham and egg yolk and on the surface are printed different artistic patterns. Different region has different flavor. The shape of the moon cake represent the reunion of a family, that the reason why the eating of moon cakes under the round moon can inspire the missing of distant relatives. 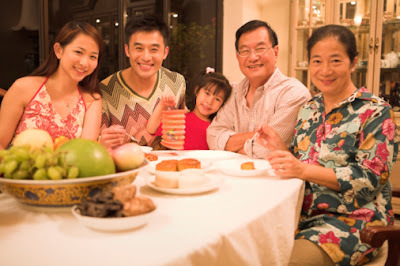 People also present the moon cakes to relatives and friends to wish them a long and happy life.